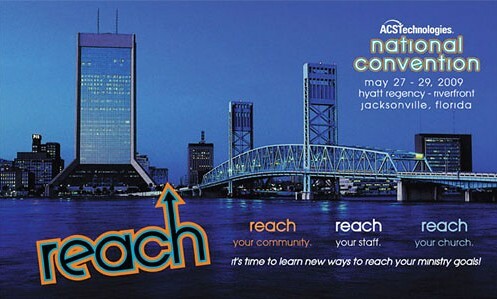 Our team has booked our travel for the ACS National Convention in Jacksonville Florida. This is my first time to go to convention, but our continuing partnership with ACS made it a must do this year. This event is in late may, but we have already booked the Airfare and Hotel. Nothing too exciting about the airfare, but the hotel rate is GREAT! If you haven’t ever used Priceline.com, Downtown Jacksonville Florida is the place to give it a try. There is a process of “free rebidding” that can be used on Priceline (documented here) which depending upon the location gives you the ability to bid for hotel a bunch of times without waiting 24 hours between every bid. What makes Jacksonville so special? There are 7 of 9 zones which don’t have the 3 1/2 star hotel level like the downtown zone. This gives you almost a possibility of 125 free rebids. In the 3 1/2 star category bidding for travel notes 3 hotels you might get: The Omni Hotel, The Hyatt or the Crown Plaza Hotel. All the reviews of each hotel reported good things…So we were willing to stay at any of the 3 hotels. I started with a ridiculously low bid of $25 and we got the Omni Hotel Jacksonville for $55 per room per night. Yes, I hear you saying but that isn’t the official convention hotel… but it is only a 10 minute walk or a .7 mile drive. Another note the Omni has Complementary WiFi (very important). Save some cash, give Priceline a try. One note: when you are bidding and the site says “your close for $– you can have this hotel.” DON’T do it… all that means is you should start increasing your bids by just $1 until you get your rate (assuming you have enough bids left). For me this “greeting” started at $47 and they wanted me to pay $65 to lock in the room.. by continuing the bidding process that dropped what we paid by $7 per room per night. Now if you want to take a chance, my guess would be that you might have a good shot of getting the Hyatt hotel which is the official convention hotel after the ‘hold’ on the rooms at the $105 rate expires on May 5th.